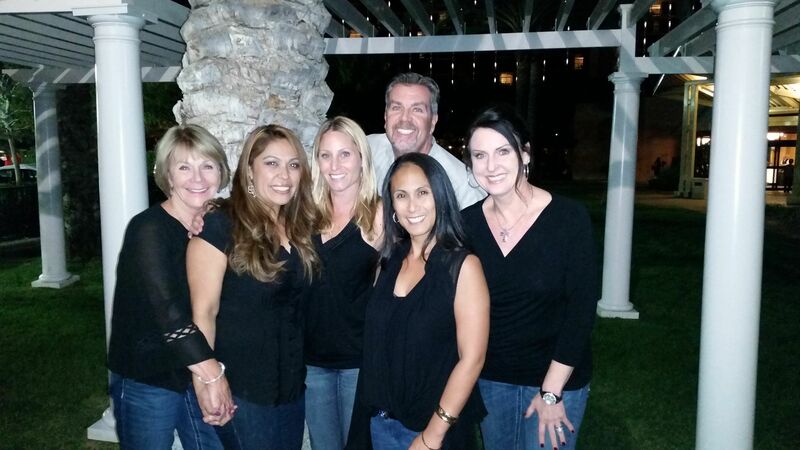 The Office stayed at the Anaheim Hilton for the Pacific Coast Society of Orthodontists Continuing Education Meeting. Dr. Trotter attends over 25 hours of continuing education every year. let us take our picture there. better place to have lunch than the Bull Pen, a local landmark near our office. In October of 2010, the office returned to Hawaii for the PCSO Meeting where Doctor Trotter finished his year as Immediate-Past President of the California Association of Orthodontists. Pictured are Rachel, JoDee, Connie, Kellie, and Rhona. Dr. Trotter was elected President of the California Association of Orthodontists at the 2008 Meeting in Palm Springs. A GREAT looking Staff on a great looking car!!! Dr. Trotter lookin' the 50's part at the Redondo Beach Ruby's Restaurant!!! This photo was taken at the 2006 Pacific Coast Society of Orthodontist's Meeting in Honolulu, Hawaii. We decided that it was so good that we'd use it for our Christmas card (yes, that is Dr. Trotter's head next to the coconut)! In October of 2005, we all dressed up as Indians. Of course, Dr. Trotter was tied to the stake. Do you recognize Wilderness Park? 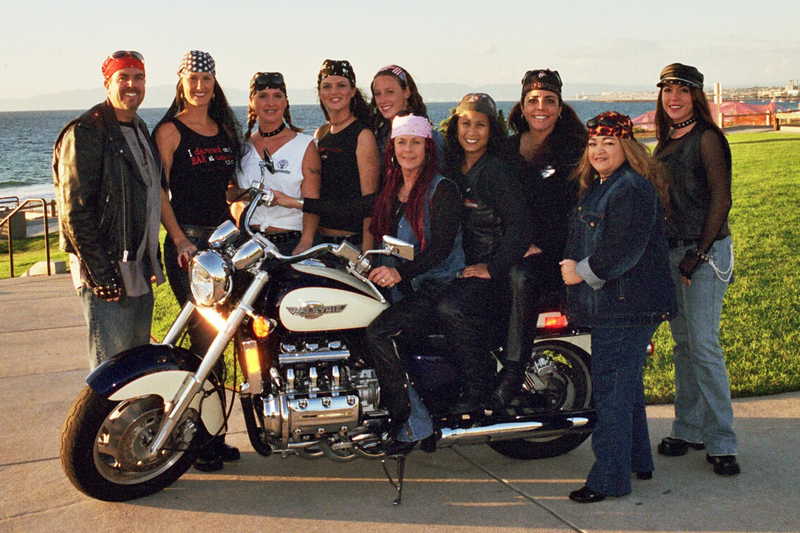 For Halloween of 2004, we dressed up as biker people. Rat and Redondo Beach are in the background.